A bizarre, but truly interesting, report prepared by the Federal Security Services (FSB) circulating in the Kremlin today suggests that American President Barack Obama may be about to be assassinated by factions within the US Military, and base this shocking conclusion on two major Hollywood movies due to be released this Spring and Summer. Important to note about this report is its having been complied by FSB analysts who are devoted followers of the early 20th Century Austrian biologist Paul Kammerer (1880-1926), who in his 1919 book Das Gesetz der Serie Seriality postulated that all events are connected by waves of seriality (coincidence). Albert Einstein called Kammerer’s idea of seriality “interesting, and by no means absurd”, while Carl Jung drew upon Kammerer's work in his essay Synchronicity. Even though FSB research into seriality events are frequently held in disdain by Western intelligence agencies, one such report, in August, 2001, caused President Putin to issue a “grave warning” to the United States that they were about to be attacked by suicide bombers, and which did, indeed, occur on 11 September 2001. The FSB report Putin based his warning to the US upon was a seriality research paper based upon an American television programme named The Lone Gunman which aired on 4 March 2001 which featured a terrorist plot to fly a commercial airliner into the World Trade Center. The climactic sequence actually shows the plane heading into one of the Twin Towers, but at the last minute, it's pulled upward and just misses the building. In this current report, FSB analysts are showing “increasing seriality concerns” over two major upcoming Hollywood movies depicting attacks upon the American White House, Olympus Has Fallen and White House Down. 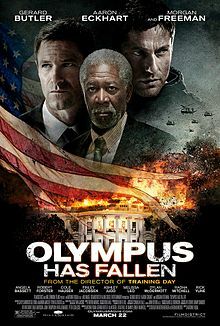 Olympus Has Fallen depicts a scenario where the White House (Secret Service Code: “Olympus”) is captured by a terrorist mastermind and the President is kidnapped, whereas White House Down is about an American domestic terrorist group that takes over the White House and the President must be rescued. Where White House Down is due to be released on 28 June 2013, this report says, the release date of 22 March 2013 for Olympus Has Fallen is of much greater concern. 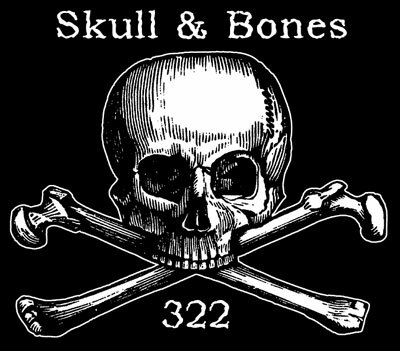 FSB analysts in this report note that the date of 3/22 is of “prime importance” to “various” secret societies operating at the highest echelons of US-British political, banking and military power structures who frequently stage their most shocking events to occur on dates having to do with the numbers 7, 11 and 22; such as 7 December 1941 (bombing of Pearl Harbor), 22 November 1963 (assassination of President John Kennedy), 7 July 2005 (London Bombings) and 11 September 2001 (attack on US soil), to just name a few. 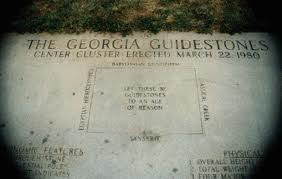 Equally important to note about 3/22, this report continues, is its association with the infamous Skull & Bones secret society whose strange logo depicts this number, and the enigmatic Georgia Guidestones whose explanatory tablet states “Center cluster erected March 22, 1980” and states its purpose as being to educate humanity of the need to depopulate our world of billions of human beings so as to reach a balance of 500 million. This FSB report further notes that a “concerning seriality” regarding these two Hollywood movies are their coinciding with two other major movie productions, Seven Days In May and Dr. Strangelove, that preceded the assassination of President John F. Kennedy in 1963. Seven Days In May is said to have been influenced by the right-wing anti-Communist political activities of General Edwin A. Walker after he resigned from the US military. An additional inspiration was provided by the 1961 interview by Fletcher Knebel, who was also a political journalist and columnist, conducted with the newly-appointed Air Force Chief of Staff, Curtis LeMay an advocate of the preventive first-strike nuclear option against the Soviet Union. 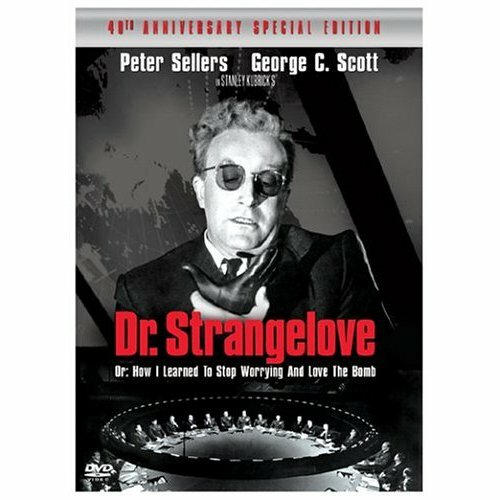 Dr. Strangelove concerns an unhinged United States Air Force general who orders a first strike nuclear attack on the Soviet Union. It follows the President of the United States, his advisors, the Joint Chiefs of Staff, and a Royal Air Force (RAF) officer as they try to recall the bombers to prevent a nuclear apocalypse. A first test screening of the film was scheduled for 22November 1963, the day of the John F. Kennedy assassination. The film was just weeks from its scheduled premiere, but because of the assassination the release was delayed until late January 1964, as it was felt that the public was in no mood for such a film any sooner. The “coincidental commonality” of all of these movies, FSB analysts in this report say, are them all being supported by the Pentagon against American Presidents who were anti-military and sought broad powers to curb in the amount of US war spending. In the case of Obama, this report continues, the US Military is particularly incensed after the Obama regime (and as we had previously reported on in our 1 February report Military Terror Hits US Cities As Veterans Banned From Owning Guns) this past week started sending out notices to American veterans telling them they were no longer allowed to own guns. Equally concerning to the US Military, this report says, is Obama regimes CSCOPE educational programme now being employed in Texas forcing high school girls to dress up in full-length Islamic burqas and then being instructed that Muslim terrorists are actually freedom fighters. As fears grow that Italy may be the spark that sets off a financial Armageddon in Europe, this report concludes, and as International Monetary Fund (IMF) Chief Christine Lagarde has just issued a warning that “the world economy could end as we know it”, FSB analysts note that the insane levels of inequality in the US have grown worse under Obama than under Bush and note that the Obama regime is prosecuting fewer financial crimes than Bush, or his father, or Ronald Reagan, and that the richest Americans have captured more than 100% of all recent income gains. Moody’s chief economist, and many others, have all said that the United States is controlled by an “oligarchy” or “oligopoly”, and the big banks and giant financial institutions are key players in that oligarchy which the Obama regime is determined to protect, but the US military is prepared to destroy. To whom will win this epic battle it is not in our knowing, nor does this report say…but what can be said is that except for the elite few, everyone else will be the ultimate losers. February 27, 2012 © EU and US all rights reserved. Permission to use this report in its entirety is granted under the condition it is linked back to its original source at WhatDoesItMean.Com. Freebase content licensed under CC-BY and GFDL.